Basketball will always be one of the most loved sports of people from all over the world. No wonder why the FIBA Basketball World Cup had caused clamor from different countries cheering for their own local team. Filipinos had made their first step of proving the world that they can also compete with the best of the best teams. Though they have lost for four times in a row but winning the last game is like winning the championship. You can see how proud Filipinos are for Gilas Pilipinas that the whole stadium in Spain can hear the noises of fans, not only Filipinos but from other countries as well. Whenever you watch a game of Gilas Pilipinas, it is pretty obvious that they do everything just to win the game. As you can see, the scores are not bad at all knowing the fact that our players lack the height. What is good about team Gilas is their determination to give the best they can, whatever countries they have to compete with. There was no limit and they never felt edgy despite being guarded by giant players. Until the last minute of every game they play, you will notice how the team struggle yet there was no sign of giving up. The audience enjoyed the game as they can feel the adrenaline rush up to the last beep of the clock while hearing the people shout the word “PUSO!” Although team Gilas had been eliminated during the first round, still, the excitement that people experienced while watching the last game is present and even more intense. The world had noticed that team Gilas plays with the heart and not just for fame or fortune. It is not surprising why Filipinos had been awarded as the Most Valuable Fans of World Cup. They have given full support for team Gilas from the start up to the end. For about 36 years, winning the game against Senegal with the score 81-79, had given Filipinos the hope that someday they will again take their chance to fight for the FIBA World Cup. 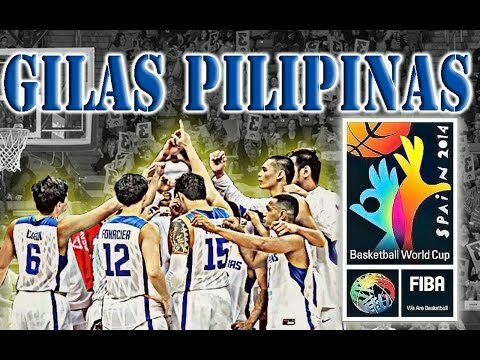 Filipinos will always remember their first win in the FIBA Basketball World Cup with team Gilas headed by coach Chot Reyes. It only shows that team Gilas is ready for the Asian Games and will definitely make the crowd, especially Filipinos, create noise in every game play.